If you want to stay hidden in the backcountry while not carrying all of the extra weight of a tent, the Illusion 1-Person Tent is ideal. 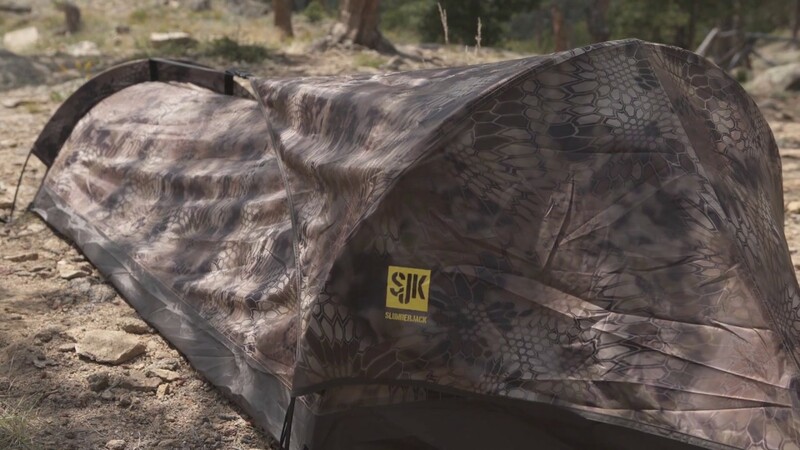 Not only does this tent come in our DST camo for ultimate concealment, but it also comes with a range of features to increase function. It has a dual hoop design to improve livability, and comes with a dual slide main zipper for additional venting options. The compact pole set helps decrease bulk for smaller packability. Also, create a sturdy pitch with the “centerline” tensioning. Pair the Illusion 1 with one of our sleeping bags and you'll have the perfect overnight protection and concealment system.